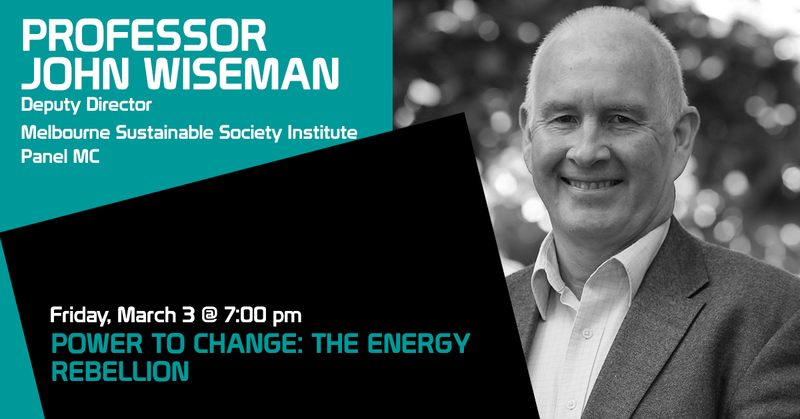 John Wiseman is Deputy Director of the Melbourne Sustainable Society Institute, University of Melbourne and Professorial Fellow, Melbourne School of Global and Population Health. He is also a Fellow at the Centre for Policy Development. Professor Wiseman has worked in diverse academic and public sector settings including as Foundation Director of the McCaughey Centre, Melbourne School of Population Health; Professor of Public Policy, Victoria University; and Assistant Director, Policy Development and Research, Victorian Department of Premier and Cabinet. His current research, writing and advocacy work focuses on the social and political transformations needed to drive a rapid transition to a just and resilient post carbon society.